American women are completely freaked by Australian tampons. We blew their minds with those little squeezy packs of tomato sauce that go on our savoury pies, and they’ve never been able to get their heads around Vegemite, but now Amercians are confused and disgusted by the Australian version of a very common product: the tampon. If you live in Australia, you’re probably used to buying your tampons in teeny, discreet, packs you can slip into your handbag with ease. But in the United States, tampons are usually sold with a long plastic or cardboard device stuck to the end called an applicator. And despite the fact that US tampons are therefore relatively giant (goodbye, cute miniature clutch bag,) many Americans wouldn’t have it any other way — because they think Australian-style tampons are completely, horrifically gross. Case in point: American blogger HousewifeDownUnder, who wrote an entire blog post dedicated to her reservations about applicator-free tampons. She continues: “Can I just say how gross I think that is? She goes on to describe, at length, her distaste at the thought of other women touching public bathroom doors after inserting a tampon with their finger. “I don’t want to put the same fingers I’ve used to touch the bathroom stall door up inside an infection-prone part of my body,” she says. She’s not the only American to find the thought of applicator-less tampons completely heinous, either. “I don’t want to handle my own bodily fluids more than I have to,” wrote one Jezebel reader. “I have always used applicator tampons, the ones without are just so hard to get in, I don’t know how you’re meant to get them in high enough just using your fingers,” wrote one Smaggle commenter. “I just accidentally bought tampons without applicators.. opened up the package.. and was like.. wtf is this!?! I tried to put one in and it was extremely painful and wouldn’t go in any farther than the length of the cotton part,” commented another reader. “I’m an American, and have only used a non-applicator tampon once. It was in a mall bathroom and I was desperate; I bought it from a machine. It was the only brand they carried. It was horrible- it said it was regular sized, but it felt like a light to me. Plus it had this bullet shaped pointy tip that was uncomfortable,” wrote another Smaggle reader. In 1931, Earle Haas, a “crusty old osteopath,” according to [Under Wraps: A History of Menstrual Hygiene Technology author Sharra] Vostral, devised a telescoping cardboard applicator for tampons, thereby ameliorating the moral and hygienic concerns surrounding their use. Eventually, it would be sold as tampax. 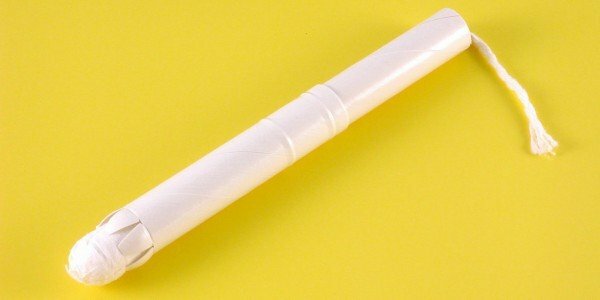 So tampon applicators were originally introduced because vaginas were seen as gross and scary, basically. Americans, don’t you think it’s time to move on? Do you agree that non-applicator tampons are the way to go? Or have Australians got it all wrong?